The NIAC Europa project I’m working on with Profs Craig Woolsey and Bill Moore, graduate student David Allen, and undergraduate Matt Jones, has gotten some exciting press, including appearing in Time’s Techland website! To learn more about the project, visit http://www.unmanned.vt.edu/europa. 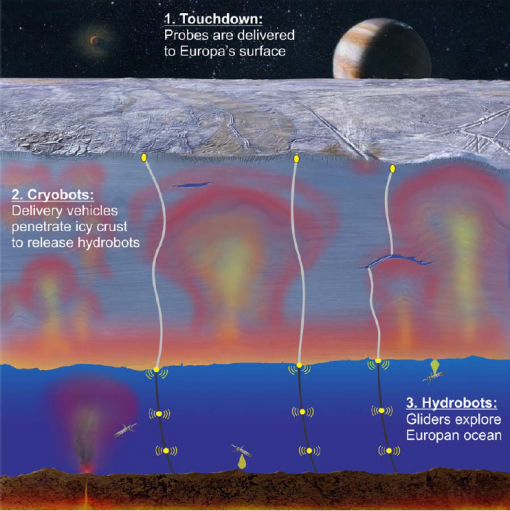 This mission architecture image is adapted from a NASA JPL image of Europa’s ice crust and ocean.